Cities (2009): Capital: Hanoi (pop. 6.472 million). Other cities — Ho Chi Minh City (formerly Saigon; pop. 7.163 million), Haiphong (pop. 1.841 million), Danang (pop. 890,500), Can Tho (pop. 1.189 million). Nationality: Noun and adjective: Vietnamese (sing. and pl.). Health (2011): Birth rate: 17.07 births/1,000 population. Infant mortality rate — 20.9 deaths/1,000 live births. Life expectancy — 73 yrs. Death rate — 5.96/1,000 population. Branches: Executive: president (head of state and chair of National Defense and Security Council) and prime minister (heads cabinet of ministries and commissions). Legislative — National Assembly. Judicial — Supreme People's Court; Prosecutorial Supreme People's Procuracy. Agriculture, forestry, and fisheries (20.58% of GDP, 2010): Principal products — rice, coffee, cashews, maize, pepper (spice), sweet potato, pork, peanuts, plus extensive aquaculture of both fish and shellfish species. Cultivated land — 12.2 million hectares. Land use — 21% arable; 28% forest and woodland; 51% other. Industry and construction (41.09% of GDP, 2010): Principal types — mining and quarrying, manufacturing, electricity, gas, crude oil, water supply, cement, coal, and steel. Services (38.33% of GDP, 2010): Principal types — tourism, wholesale and retail, repair of vehicles and personal goods, hotel and restaurant, transport storage, telecommunications. Trade: Exports: (2010) $71.6 billion; (2011, first 9 months) $70 billion. Principal exports — crude oil, garments/textiles, footwear, fishery and seafood products, rice (world's second-largest exporter), pepper (spice; world's largest exporter), wood products, coffee, rubber, cashews, jewelry, and footwear. Major export partners — U.S., EU, ASEAN, Japan, China, and South Korea. Imports — (2010) $84 billion; (2011, first 9 months) $76.87 billion. Principal imports — machinery, oil and gas, iron and steel, garment materials, plastics, and electronics. Major import partners — China, ASEAN, Japan, Taiwan, South Korea, and EU. Exports to U.S. — (2010) $14.3 billion; (2011, first 9 months) $10.9 billion. Imports from U.S. — (2010) 3.7 billion; (2011, first 9 months) $2.8 billion. After 1954, North Vietnamese communist leaders consolidated their power and instituted a harsh agrarian reform and socialization program. During this period, some 450,000 Vietnamese, including a large number of Vietnamese Catholics, fled from the north to the south, while a much smaller number, mostly consisting of former Viet Minh fighters, relocated north. In the late 1950s, North Vietnamese leaders reactivated the network of communist guerrillas that had remained behind in the south. These forces — commonly known as the Viet Cong — aided covertly by the north, started an armed campaign against officials and villagers who refused to support the communist reunification cause. In December 1961, at the request of South Vietnamese President Ngo Dinh Diem, President Kennedy sent U.S. military advisers to South Vietnam to help the government there deal with the Viet Cong campaign. In the wake of escalating political turmoil in the south after a November 1963 generals' coup against President Diem, which resulted in his death, the United States increased its military support for South Vietnam. In March 1965, President Johnson sent the first U.S. combat forces to Vietnam. The American military role peaked in 1969 with an in-country force of 534,000. Although the Viet Cong's surprise Tet Offensive in January 1968 failed militarily, it damaged American and South Vietnamese morale and brought into question — domestically — U.S. reports of successes prior to the offensive. In January 1969, the United States, governments of South and North Vietnam, and the Viet Cong met for the first plenary session of peace talks in Paris, France. These talks, which began with much hope, moved slowly. 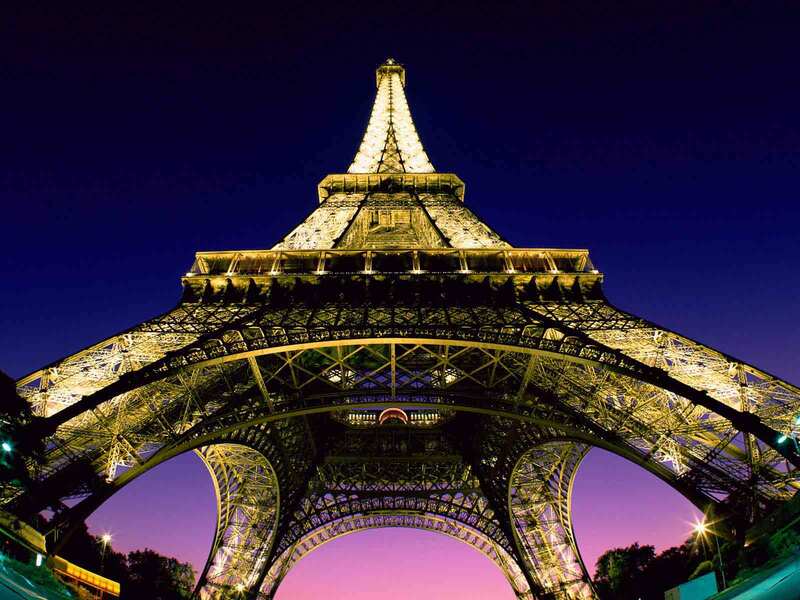 They finally concluded with the signing of a peace agreement, the Paris Accords, on January 27, 1973. The Accords called for a ceasefire in place in which North Vietnamese forces were permitted to remain in areas they controlled. Following the Accords, the South Vietnamese Government and the political representatives of the communist forces in the South, the Provisional Revolutionary Government, vied for control over portions of South Vietnam. The United States withdrew its forces, although reduced levels of U.S. military assistance continued, administered by the Defense Attaché Office. The most important powers within the Vietnamese Government — in addition to the Communist Party — are the executive agencies created by the 1992 constitution: the offices of the president and the prime minister. The Vietnamese President functions as head of state but also serves as the nominal commander of the armed forces and chairman of the Council on National Defense and Security. The Prime Minister of Vietnam heads a cabinet composed of deputy prime ministers and the heads of ministries and agencies, all confirmed by the National Assembly. Vietnam maintains an embassy in the U.S. at 1233 20th Street, NW, #400, Washington DC 20036 (tel. 202-861-0737; fax 202-861-0917); Internet home page: (http://www.vietnamembassy-usa.org/). Following economic stagnation after reunification from 1975 to 1985, the 1986 Sixth Party Congress approved broad economic reforms (known as "Doi Moi," or "renovation") that introduced market reforms, opened up the country for foreign investment, and dramatically improved Vietnam's business climate. Vietnam became one of the fastest-growing economies in the world, averaging around 8% annual gross domestic product (GDP) growth from 1990 to 1997 and 6.5% from 1998-2003. GDP grew more than 8% annually from 2004 to 2007, slowed to 5.3% growth in 2009, recovered to 6.8% in 2010, and reached 5.8% over the first 9 months of 2011. Viewed over time, foreign trade and foreign direct investment (FDI) have improved significantly, although new registered FDI has started to trend downward. The average annual foreign investment commitment rose sharply after foreign investment was authorized in 1988, although the global economic crisis affected FDI in 2009. In the first 9 months of 2011, disbursed FDI capital totaled $9.1 billion, up 1% compared to the same period in 2010. Registered FDI (including new and additional capital) was $8.88 billion in the first 9 months of 2011, a fall of about 30% compared to the same period of 2010. From 1990 to 2011, agricultural production nearly doubled, transforming Vietnam from a net food importer to the world's second-largest exporter of rice. In the first 9 months of 2011, Vietnam's exports ($70 billion) were up by 23% compared to the same period in 2010. Vietnam's imports ($76.87 billion) were up by 27% from the same period in 2010, and the country was still running a structural trade deficit, reaching $6.87 billion in the first 9 months of 2011. The shift away from a centrally planned economy to a more market-oriented economic model has improved the quality of life for many Vietnamese. Per capita income rose from $220 in 1994 to $1,168 in 2010. Year-on-year inflation, however, increased to 18.2% in the first 9 months of 2011, up from 8.6% in the same period of 2010. The Vietnamese Government was unable to reach its 2011 Consumer Price Index (CPI) target of 7%. The Vietnamese savings rate is about 25% of GDP. Official unemployment remains low, but does not reflect employment trends in the unofficial economy, which comprises over 70% of the total workforce. Unemployment was 2.2% in the first 9 months of 2011 — a slight decline from 2.8% in 2010 — with urban unemployment being higher (3.5% in the first 9 months of 2011, 4.4% in 2010) than rural (1.2% the first 9 months of 2011, 2.3% in 2010). As in the rest of Asia, farms in Vietnam tend to be very small, and are usually less than one hectare (2.5 acres) each. Rice and other farm outputs are quite profitable, on a per-kilogram basis, but the total income from these small operations is increasingly insufficient to cover daily household needs. Off-farm income is necessary, and growing in importance. Due to its high productivity, Vietnam is currently a net exporter of agricultural products. Besides rice, key exports are coffee (robusta), pepper (spice), cashews, tea, rubber, wood products, and fisheries products. In 2010, Vietnam was ranked 17 among all suppliers of food and agricultural products to the United States, a strong indicator of Vietnam's growing importance as a global supplier of key agricultural commodities. Agriculture's share of economic output has declined, falling as a share of GDP from 42% in 1989 to 21% in 2010, as production in other sectors of the economy has risen. Vietnam's industrial production has also grown. Industry and construction contributed 41% of GDP in 2010, up from 27.3% in 1985. Subsidies have been cut, though state enterprises still receive priority access to resources, including land and capital. The government is also continuing the slow process of "equitizing" a significant number of smaller state enterprises — transforming state enterprises into shareholding companies and distributing a portion of the shares to management, workers, and private foreign and domestic investors. However, to date the government continues to maintain control of the largest and most important companies. President Bill Clinton announced the formal normalization of diplomatic relations with the Socialist Republic of Vietnam on July 11, 1995. Subsequent to President Clinton's normalization announcement, in August 1995, both nations upgraded their Liaison Offices opened in January 1995 to embassy status. As diplomatic ties between the nations grew, the United States opened a consulate general in Ho Chi Minh City, and Vietnam opened a consulate general in San Francisco. In 2009, the United States received permission to open a consulate in Danang; in 2010, Vietnam officially inaugurated a consulate general in Houston. U.S. relations with Vietnam have become increasingly cooperative and broad-based in the years since political normalization. A series of bilateral summits have helped drive the improvement of ties, including President George W. Bush's visit to Hanoi in November 2006, President Triet's visit to Washington in June 2007, Prime Minister Dung's visits to Washington in June 2008 and April 2010, and President Truong Tan Sang's visit to Hawaii for APEC meetings in November 2011. The two countries hold an annual dialogue on human rights, which resumed in 2006 after a 2-year hiatus. Vietnam and the United States signed a Bilateral Trade Agreement in July 2000, which went into force in December 2001. In 2003, the two countries signed a Counternarcotics Letter of Agreement (amended in 2006), a Civil Aviation Agreement (amended in 2008), and a textile agreement. In December 2006 the United States granted permanent normal trade relations (PNTR) to Vietnam. In October 2008, the U.S. and Vietnam inaugurated annual political-military talks and policy planning talks to consult on regional security and strategic issues. In August 2010, the U.S. Department of Defense and Vietnam's Ministry of Defense held the first round of annual high-level defense talks, known as the Defense Policy Dialogue. Bilateral and regional diplomatic engagement has expanded at ASEAN, which Vietnam chaired in 2010, and continues through APEC. Vietnam's suppression of political dissent has continued to be a main issue of contention in relations with the United States, drawing criticism from successive administrations, as well as from members of Congress and the U.S. public. Within the previous 2 years, Vietnam's government has convicted more than 22 political dissidents, and has arrested an additional 15 others. The government has continued to further tighten controls over the Internet, press, and freedom of speech. Internet bloggers were also arrested, jailed, and convicted after writing about corruption, and protesting China's actions in the disputed Spratly and Paracel Islands and Chinese mining of bauxite in the central highlands. In contrast, Vietnam has continued to make progress on expanding religious freedom, although significant issues remain. 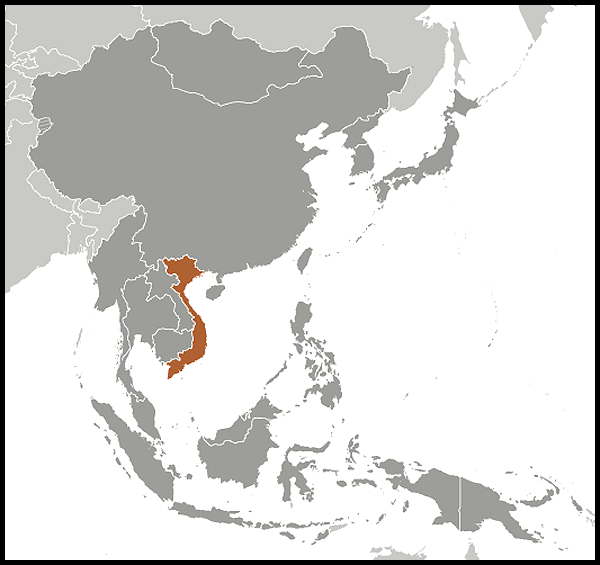 In 2005, Vietnam passed comprehensive religious freedom legislation, outlawing forced renunciations and permitting the official recognition of new denominations. Since that time, the government has granted official national recognition or registration to a number of new religions and religious groups, including eight more Protestant denominations, and has registered hundreds of local congregations particularly in the central highlands. As a result, in November 2006, the Department of State lifted the designation of Vietnam as a "Country of Particular Concern," based on a determination that the country was no longer a serious violator of religious freedoms, as defined by the International Religious Freedom Act. The Department of State has reaffirmed this decision every year since then. Nevertheless, there is room for further progress. The government's slow pace of church registration, particularly in the northwest highlands, and harassment of certain religious leaders for their political activism, remain an ongoing source of U.S. concern. As of November 2011, the U.S. Government listed 1,679 Americans unaccounted for in Southeast Asia, including 1,288 in Vietnam. Since 1973, 967 Americans have been accounted for, including 683 in Vietnam. Additionally, the Department of Defense has confirmed that of the 196 individuals who were "last known alive" (LKA) in Vietnam, the U.S. Government has determined the fate of all but 25. The Joint POW/MIA Accounting command (JPAC) conducts four major investigation and recovery periods a year in Vietnam, during which specially trained U.S. military and civilian personnel investigate and excavate hundreds of cases in pursuit of the fullest possible accounting. Unrestricting areas previously denied to JPAC personnel has been a recent highlight of cooperation by the Socialist Republic of Vietnam, as was the first-ever turnover of POW/MIA-related artifacts from the Vietnam Military History Museum, apparently a reciprocal action in response to U.S. turnovers of Vietnamese war artifacts. In June 2009, a coastal search mission by the oceanographic survey ship USNS Heezen was the first of its kind, creating the potential to recover hundreds of underwater crash sites. The U.S. would still like to see the provision of archival documents related to U.S. losses along the wartime Ho Chi Minh Trail, as well as more openness in general with regard to Vietnam's wartime archives. The United States considers achieving the fullest possible accounting of Americans missing and unaccounted for in Indochina to be one of its highest priorities with Vietnam. Since entry into force of the U.S.-Vietnam Bilateral Trade Agreement on December 10, 2001, increased trade between the U.S. and Vietnam, combined with large-scale U.S. investment in Vietnam, evidence the maturing U.S.-Vietnam economic relationship. In 2010, the United States exported $3.7 billion in goods to Vietnam and imported $14.9 billion in goods from Vietnam. Similarly, U.S. companies continue to invest directly in the Vietnamese economy. During 2009, the U.S. private sector committed $9.8 billion to Vietnam in foreign direct investment. Another sign of the expanding bilateral relationship is the signing of a Bilateral Air Transport Agreement in December 2003. Several U.S. carriers already have third-party code sharing agreements with Vietnam Airlines. Direct flights between Ho Chi Minh City and San Francisco began in December 2004. The Bilateral Air Transport Agreement was amended in October 2008 to fully open markets for cargo air transportation. Vietnam and the United States also signed a Bilateral Maritime Agreement in March 2007 that opened the maritime transport and services industry of Vietnam to U.S. firms. Vietnam remains heavily contaminated by explosive remnants of war, primarily in the form of unexploded ordnance (UXO) including extensive contamination by cluster munitions dating from the war with the United States. The United States is the largest single donor to UXO/mine action. The Department of State continues to assist Vietnam in detecting and clearing unexploded ordnance, educating the public on the risks of UXO, and providing assistance to the victims of UXO. Since 1993, U.S. has contributed over $62 million in UXO clearance, risk education, and victims' assistance programs and support for persons with disabilities, regardless of cause. While legacy issues such as UXO/demining, MIA accounting, and Agent Orange provided the foundations for the U.S.-Vietnam defense relationship, mutual interest in addressing the challenges of humanitarian assistance/disaster relief, search and rescue, and maritime security have allowed the defense relationship to accelerate in the past 3 years, with Vietnam participating in U.S.-provided capacity-building training in these areas. Many of these topics are discussed in annual bilateral defense discussions. In August 2010, a delegation of senior Vietnamese civilian and military officials participated in a fly-out to the USS George Washington in international waters off the coast of Vietnam just prior to the USS John S. McCain visit to Danang, Vietnam. In July 2011 another delegation of government and military officials participated in a fly-out and tour aboard the USS George Washington. Two years after its first visit to Vietnam, the hospital ship USNS Mercy paid a port call to Quy Nhon in June 2010, where it provided medical and dental treatment to thousands; the USNS Mercy's June 2008 visit to Nha Trang reached over 11,000 Vietnamese patients. Other U.S. Navy visits in 2011 included the first U.S. military ship visit to Cam Ranh Bay in over three decades, when the USNS Richard E. Byrd entered the port for maintenance and repair in August 2011; the USNS Diehl followed for routine maintenance and repair in October. Vietnam continues to observe multinational exercises such as the Cooperation Afloat Readiness and Training (CARAT) organized by the U.S. Pacific Fleet and the yearly GPOI CAPSTONE exercise organized by the U.S. Pacific Command. An active partner in nonproliferation regimes, Vietnam also takes full advantage of expertise, equipment, and training available under the Export Control and Related Border Security (EXBS) program. With the support of the U.S. Department of Energy's Megaports Initiative, Vietnam is installing radiation detection equipment to help it detect and identify weapons of mass destruction and their components at the commercial port of Cai Mep-Vung Tau. Vietnam agreed in 2010 to join the Global Initiative to Combat Nuclear Terrorism, and Prime Minister Dung was an active participant in President Barack Obama's April 2010 Nuclear Security Summit in Washington. The U.S. Embassy (http://vietnam.usembassy.gov/) in Vietnam is located at 7 Lang Ha, Ba Dinh District, Hanoi, Socialist Republic of Vietnam (tel. 84-4-3850-5000; fax 84-4-3850-5010). The U.S. Consulate General (http://hochiminh.usconsulate.gov/) in Ho Chi Minh City is located at 4 Le Duan, District 1, Ho Chi Minh City, Socialist Republic of Vietnam (tel. 84-8-3520-4200; fax 84-8-3520-4244).